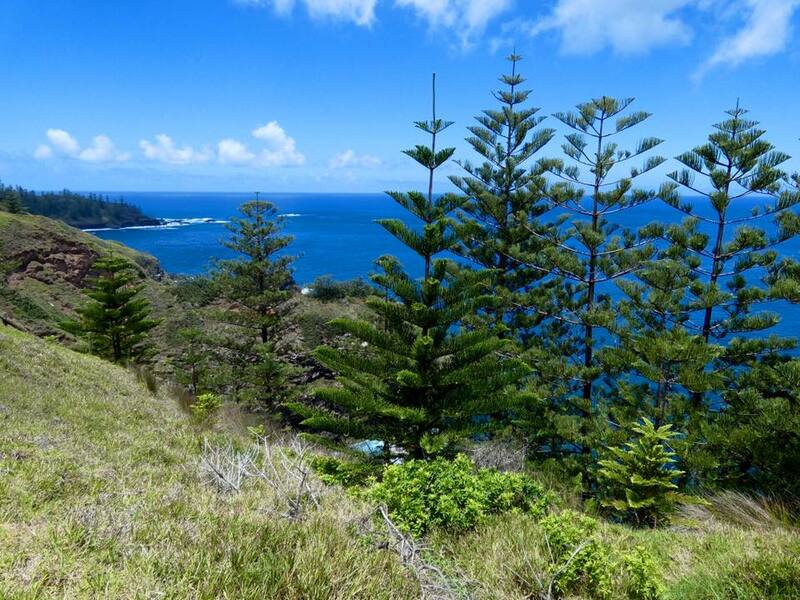 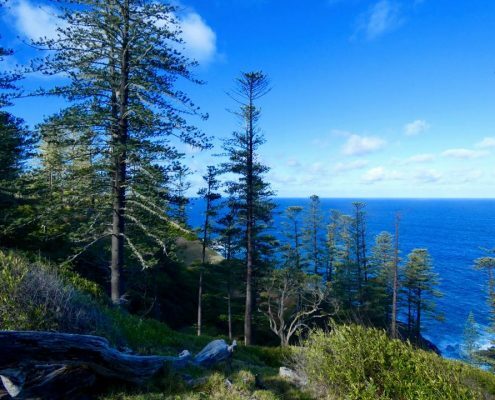 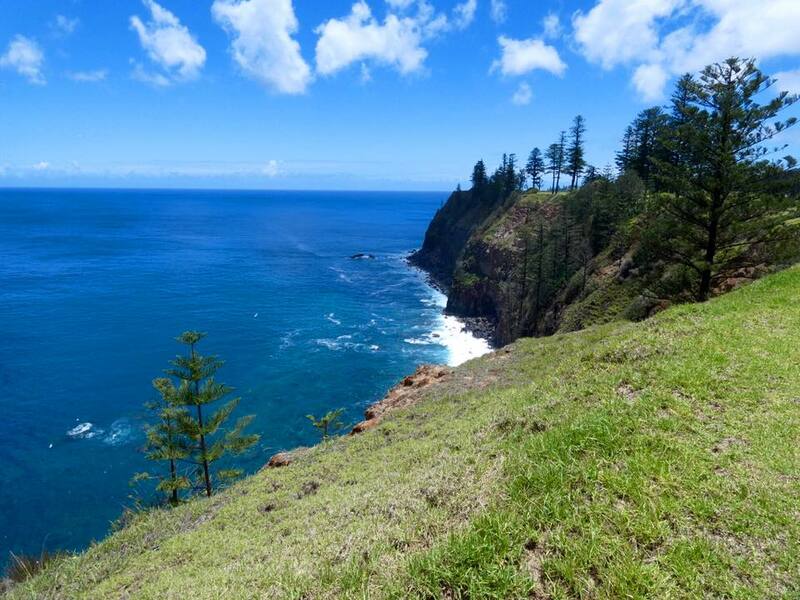 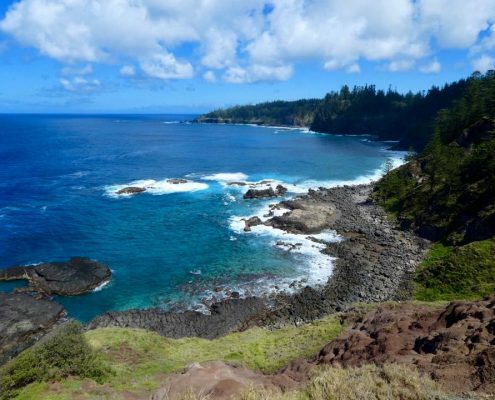 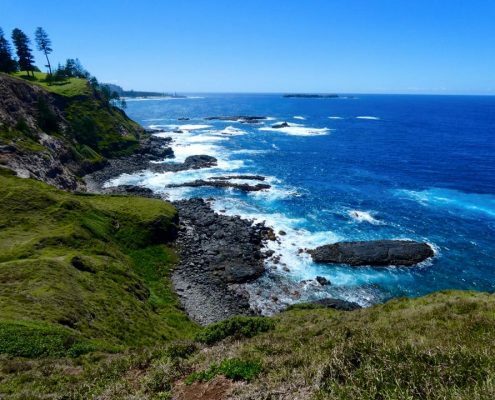 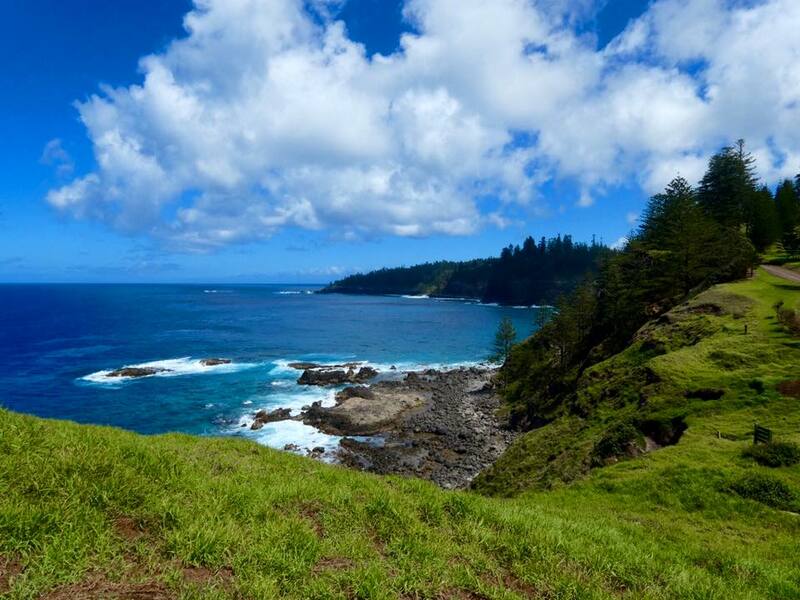 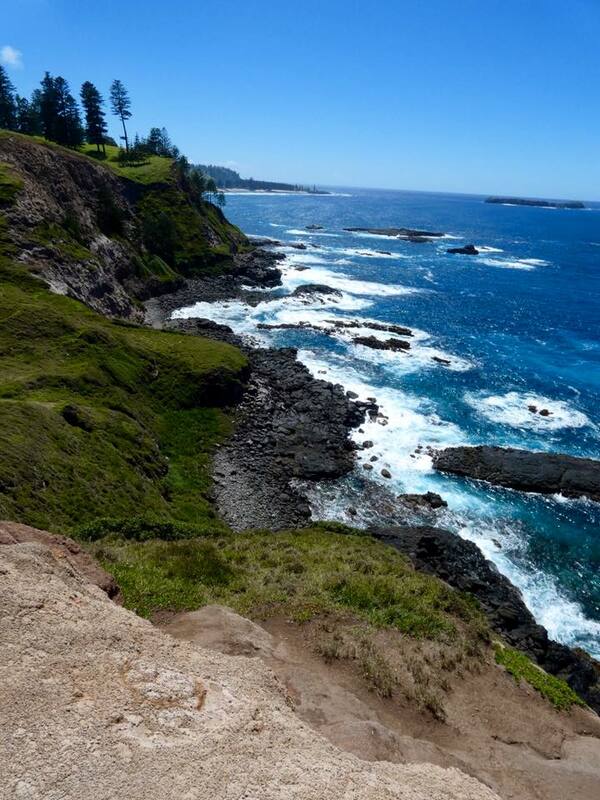 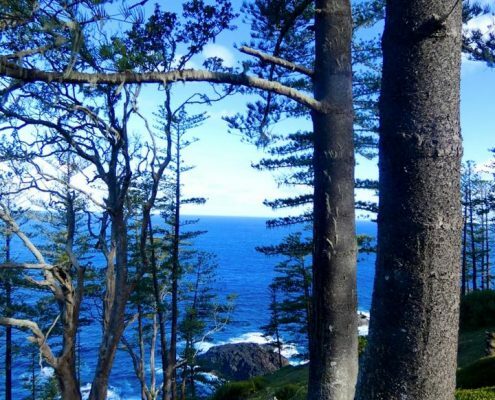 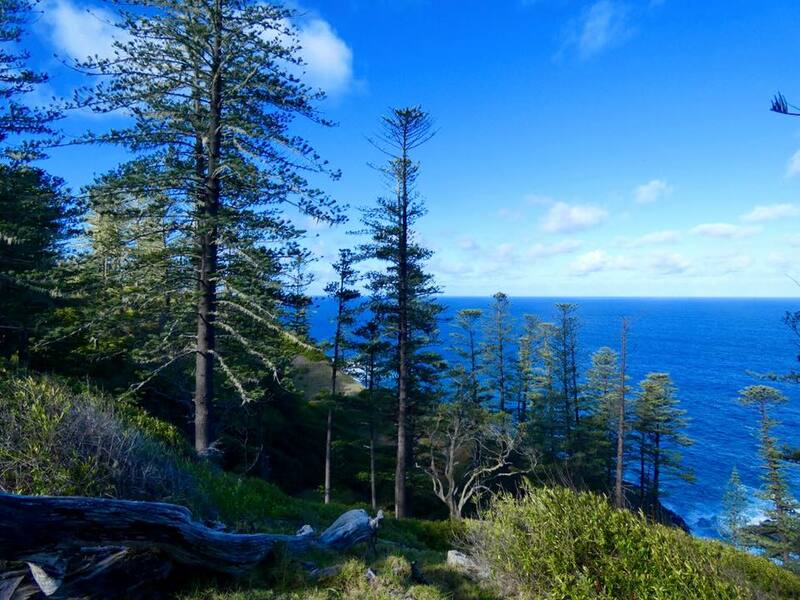 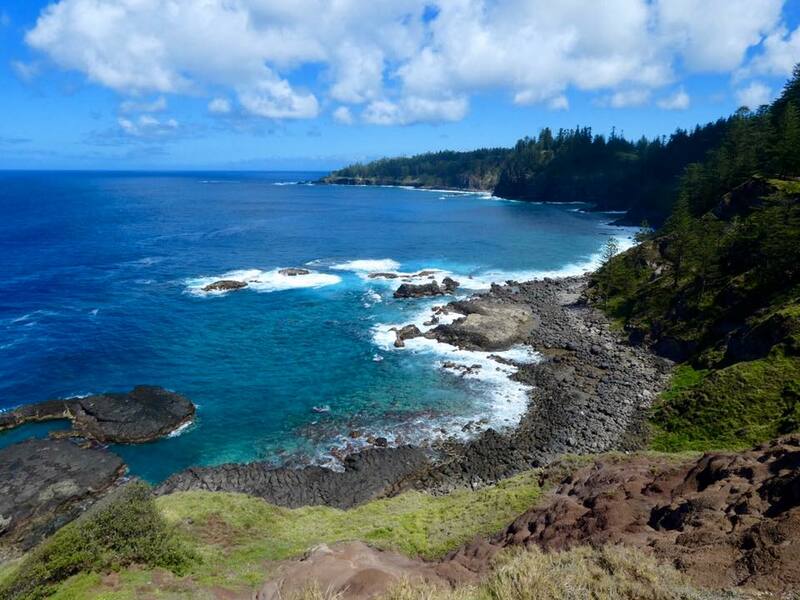 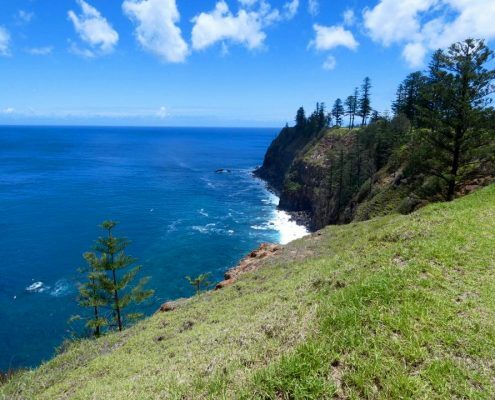 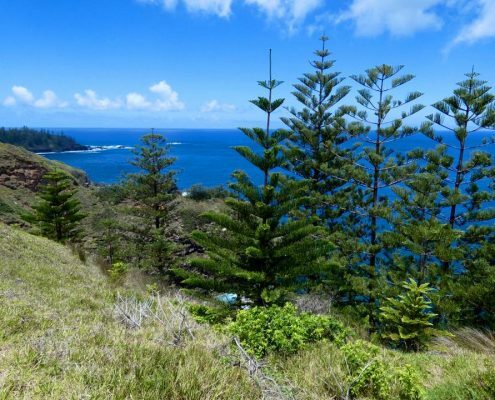 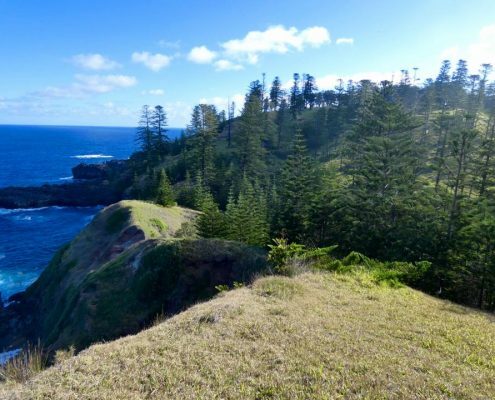 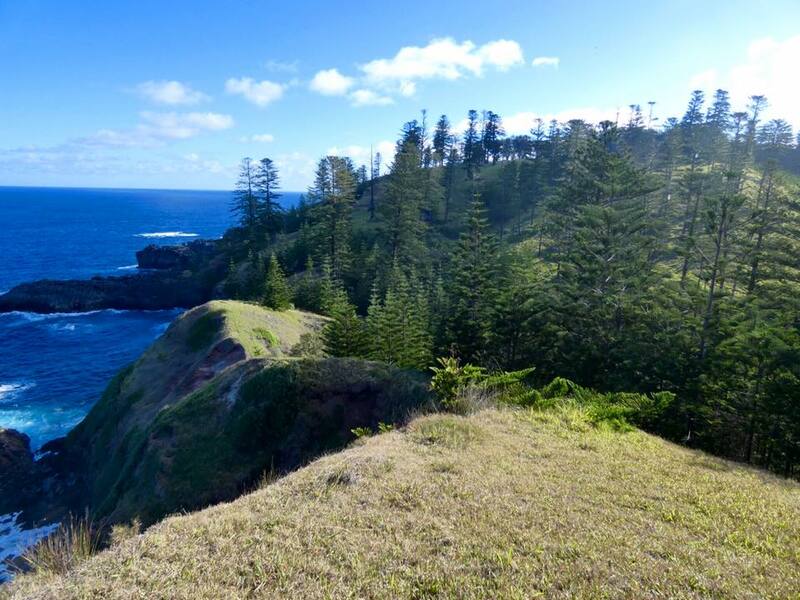 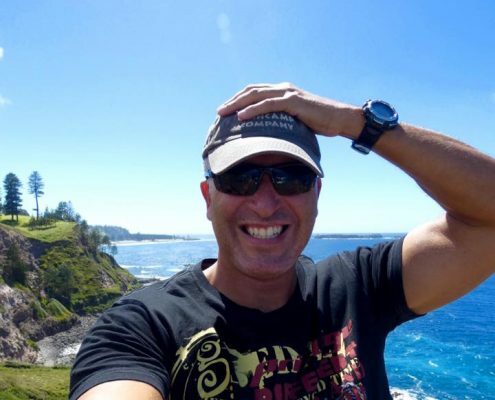 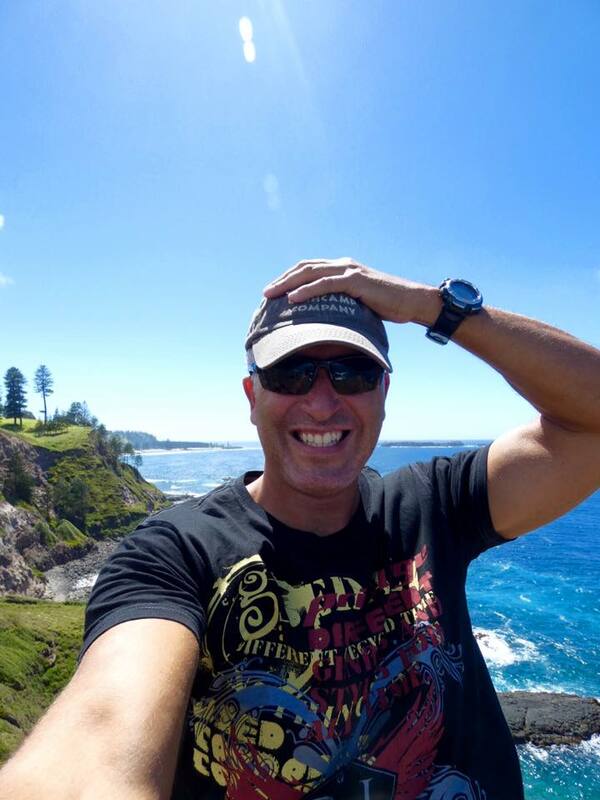 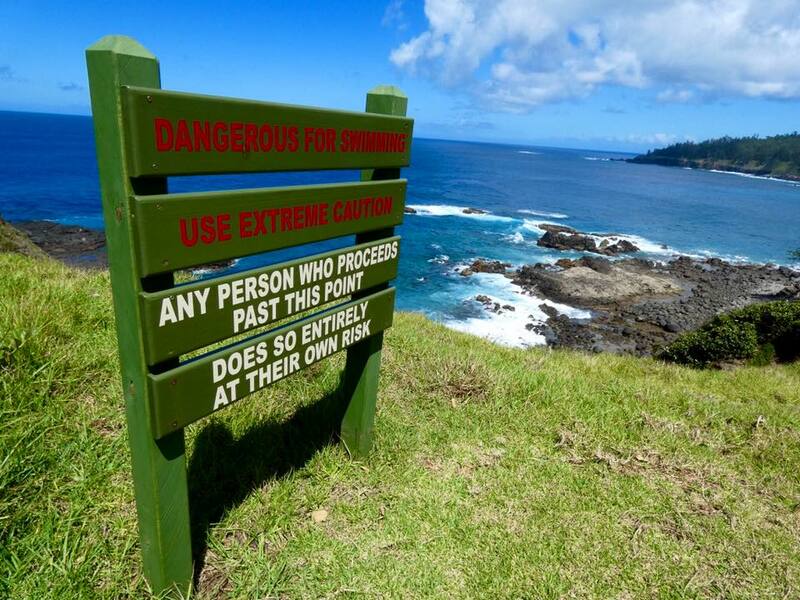 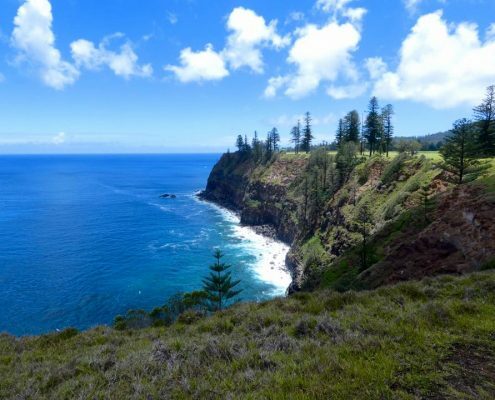 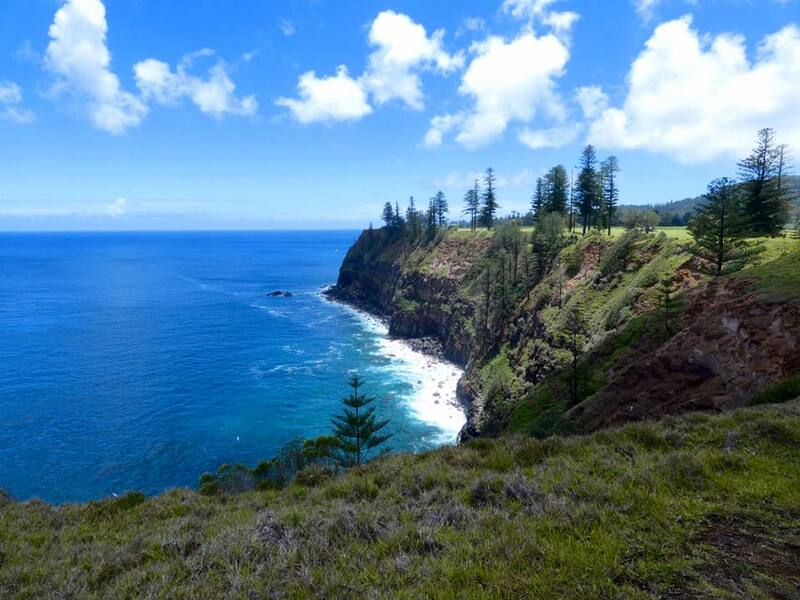 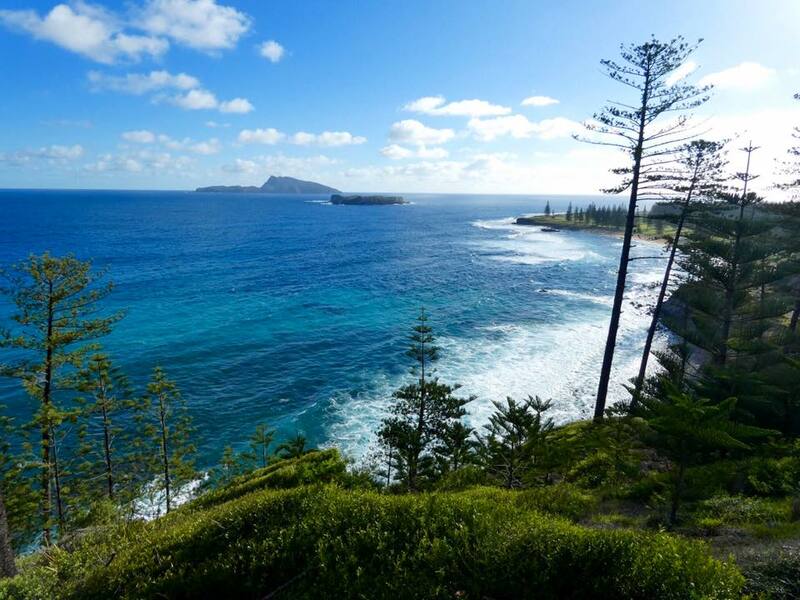 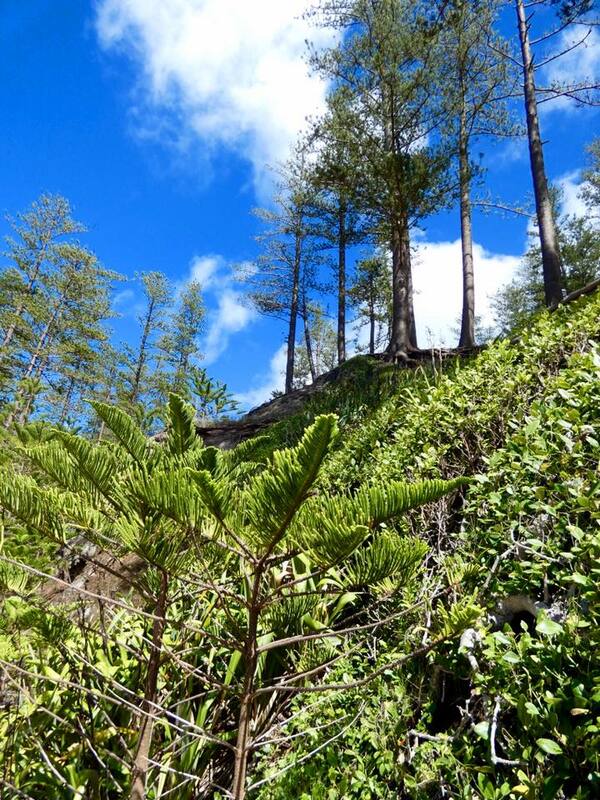 I don’t think there is a single road left on Norfolk Island that I haven’t driven on – every headland, valley, hill, and cliff. 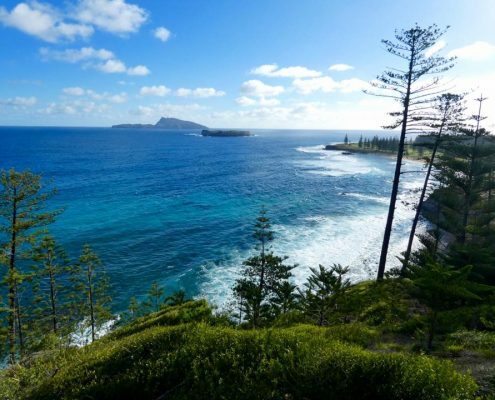 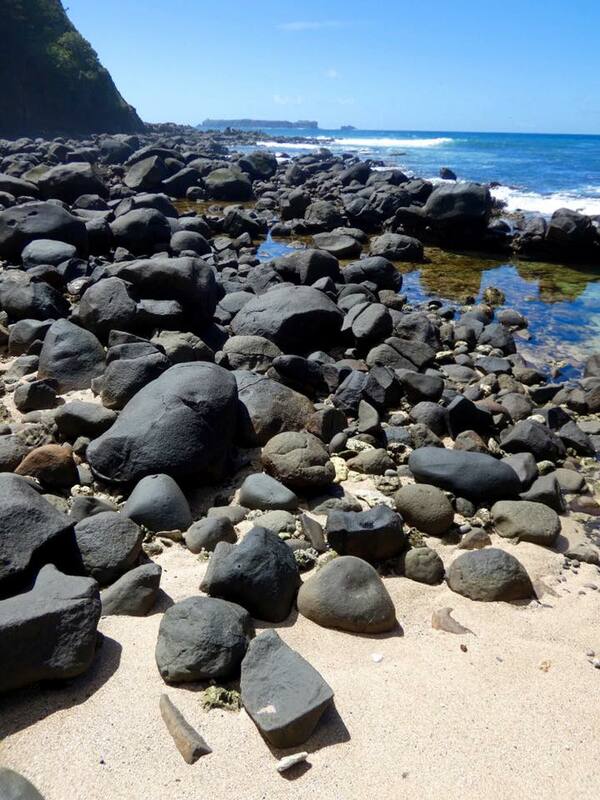 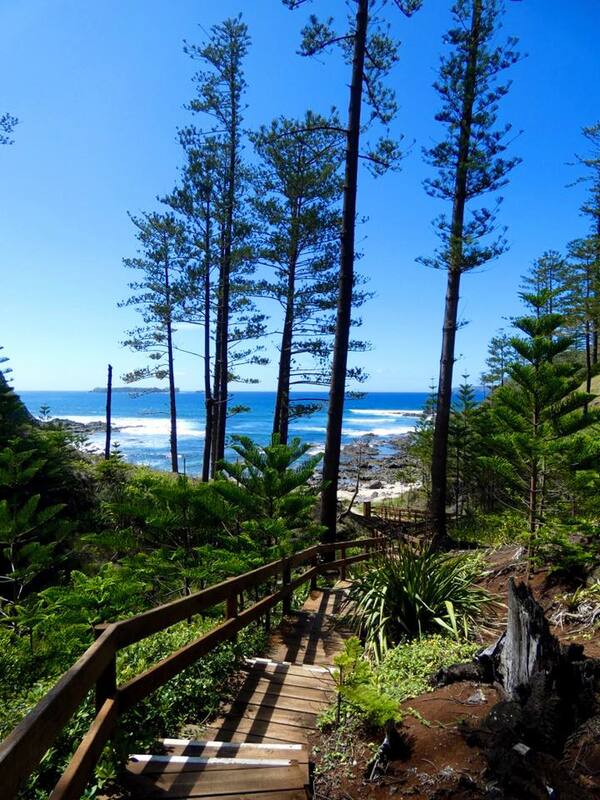 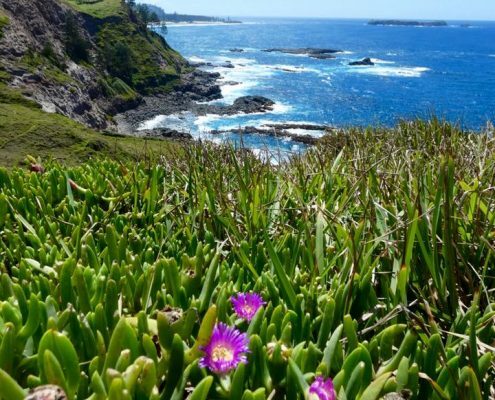 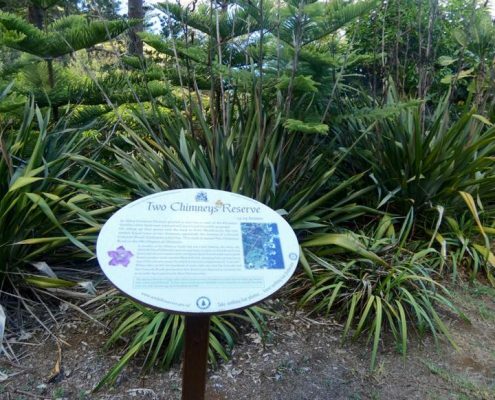 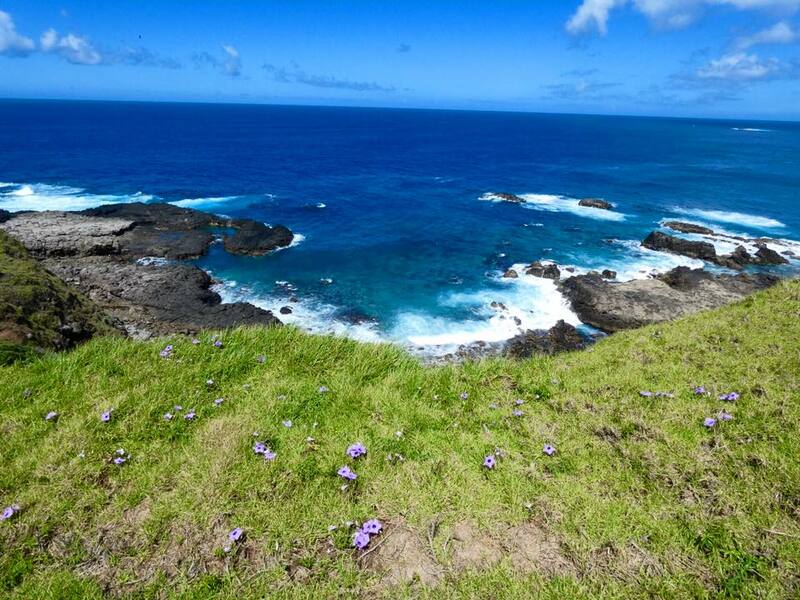 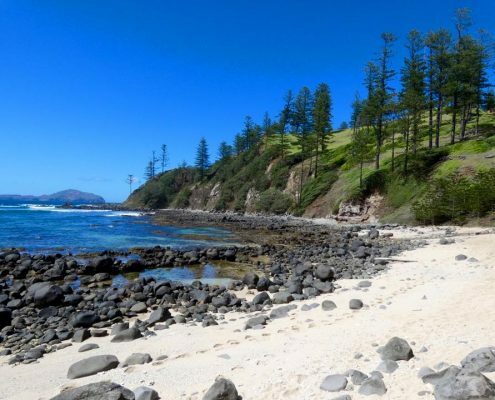 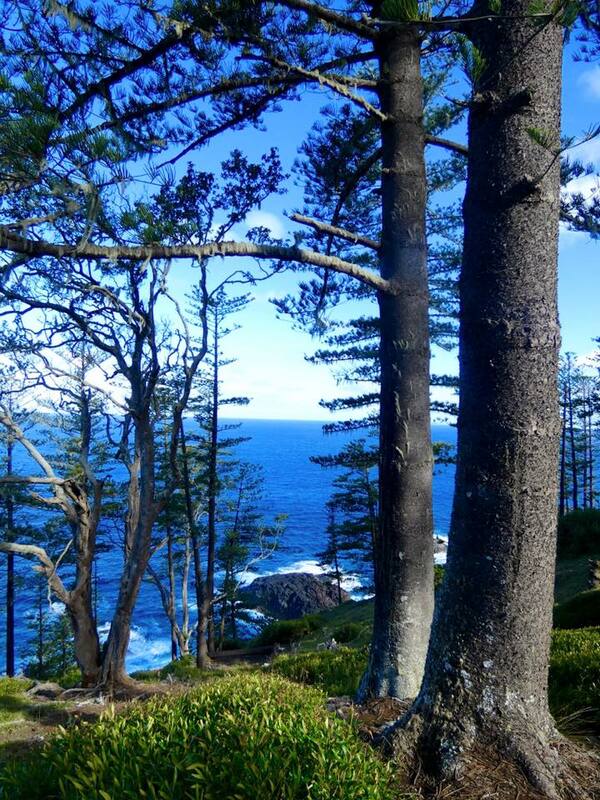 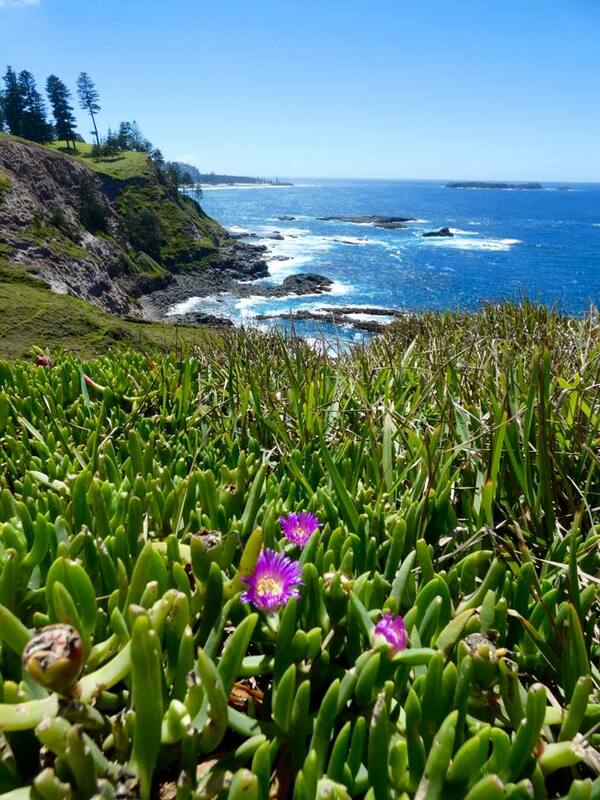 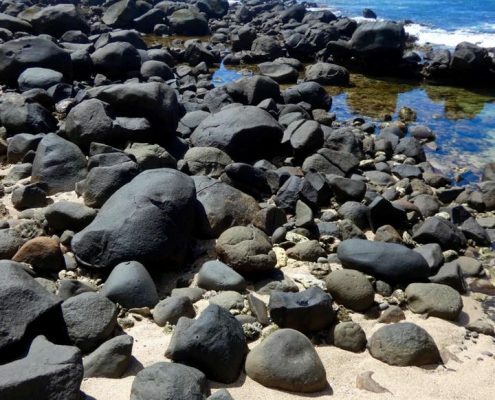 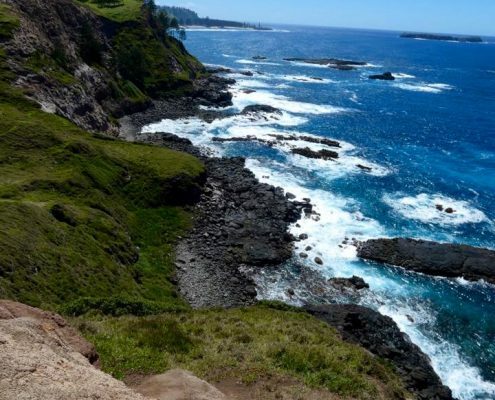 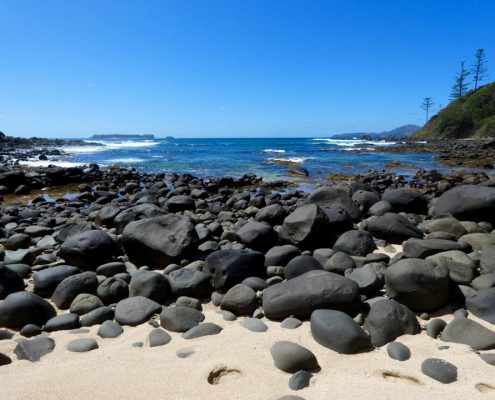 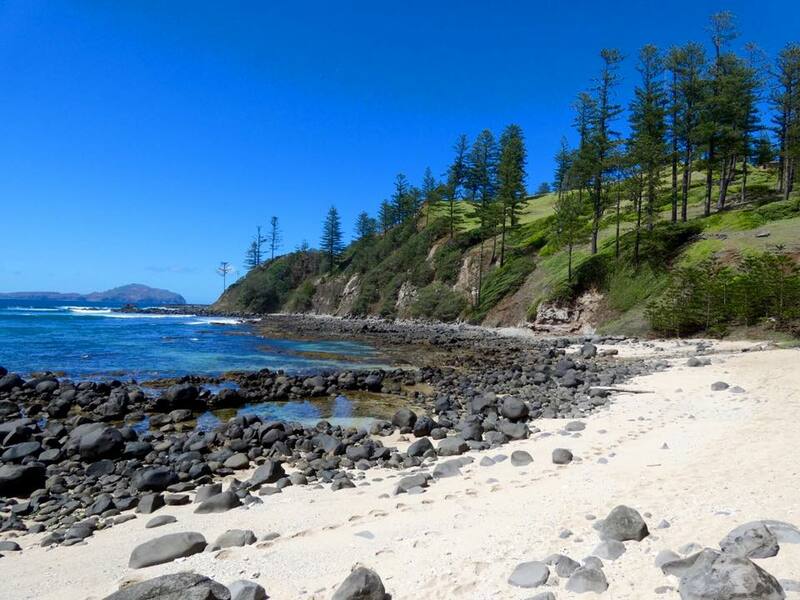 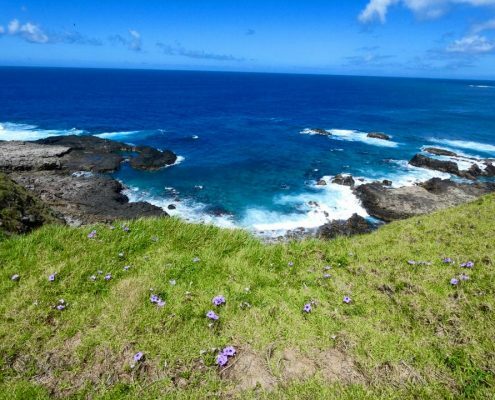 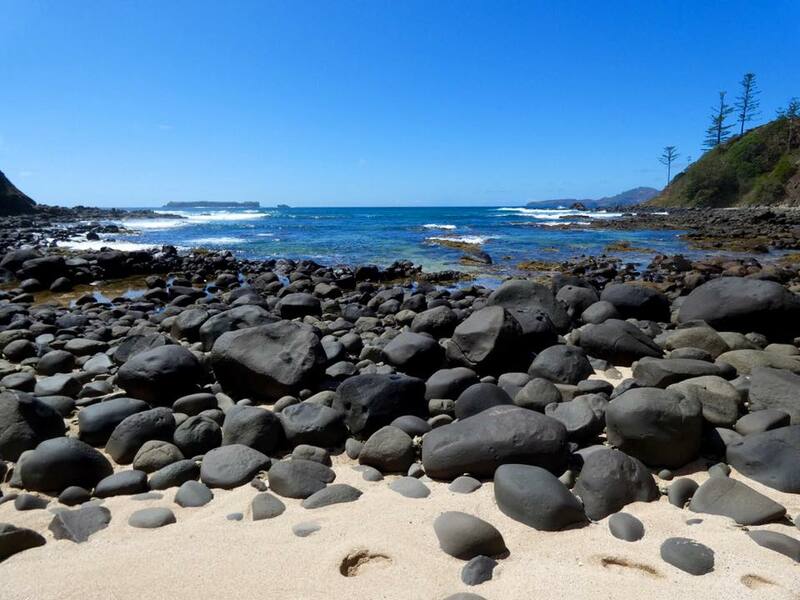 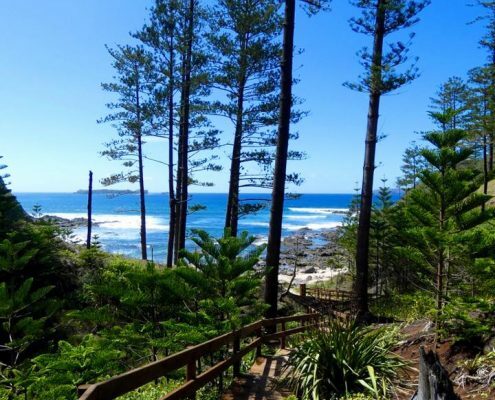 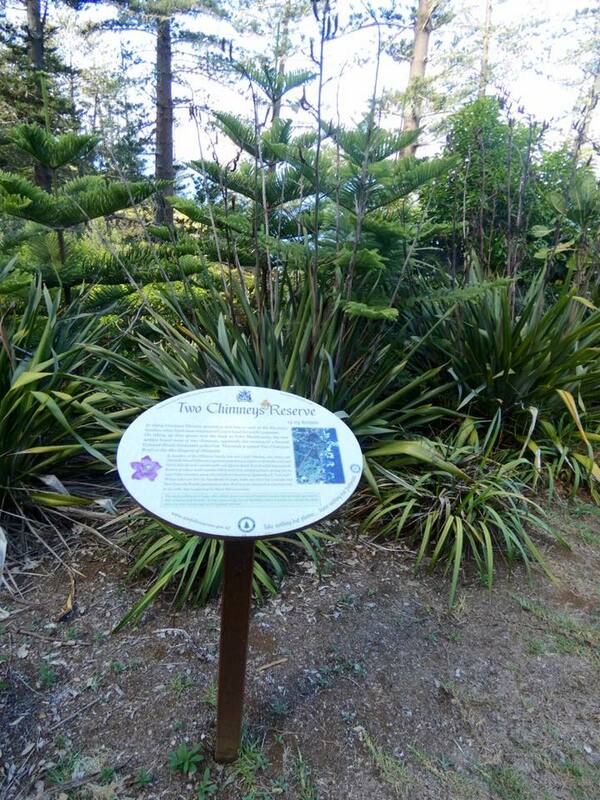 The coastline of the island is spectacular all around – there are no beaches but stunning cliffs and bays and many natural reserves protecting all this – Rocky Point Reserve, Headstone Reserve, Point Blackburn Reserve, Two Chimney Reserve, and several others. 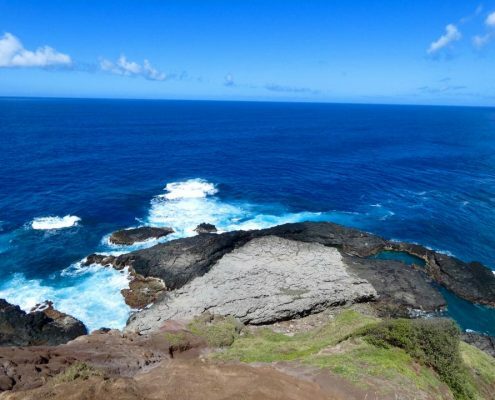 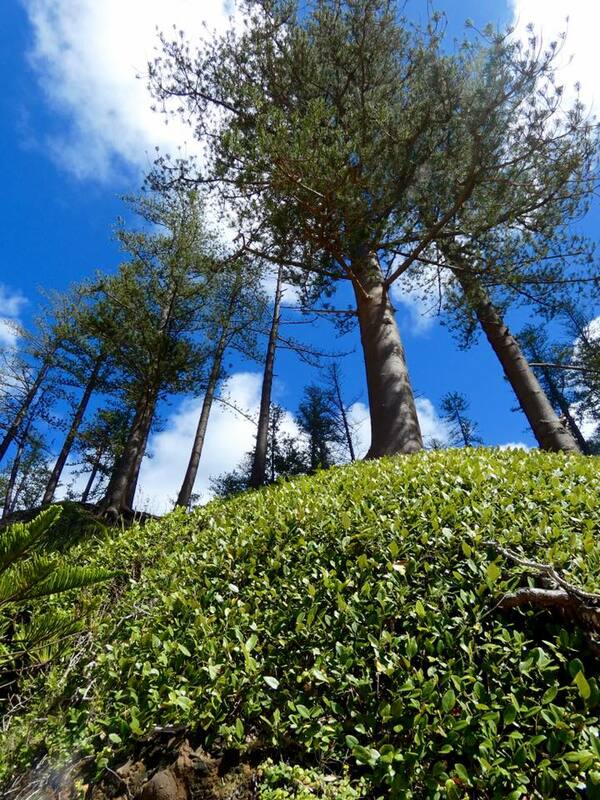 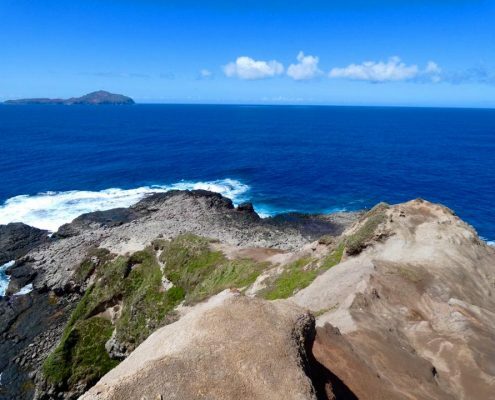 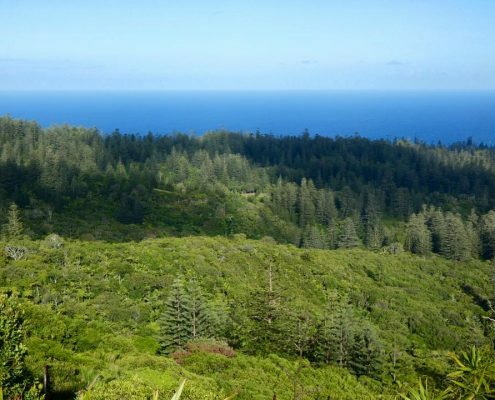 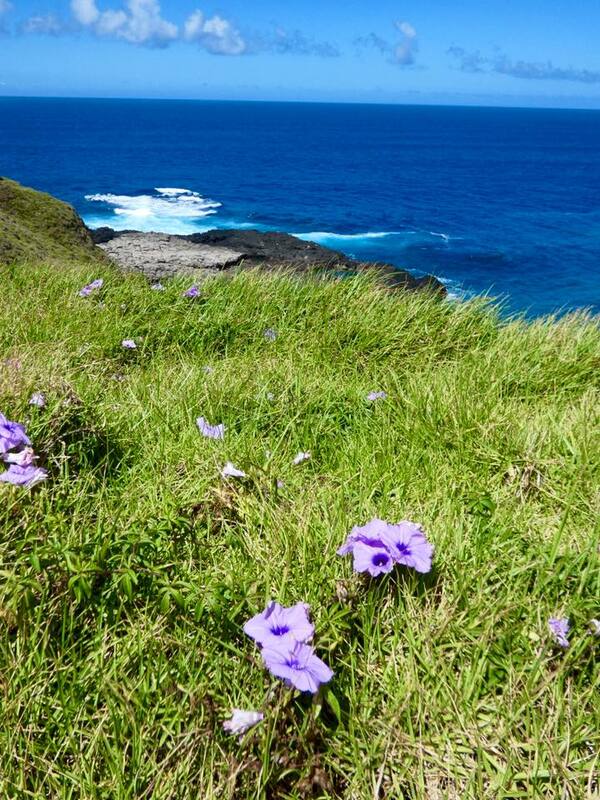 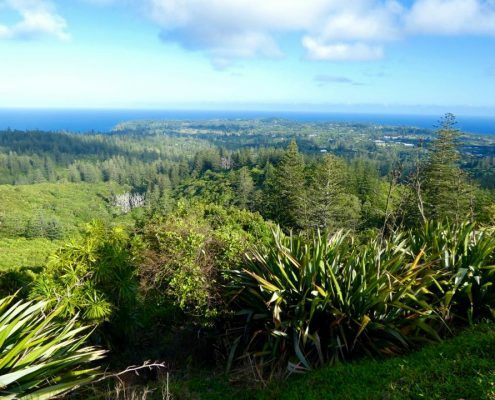 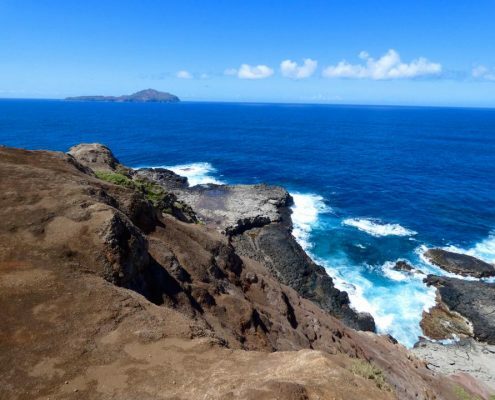 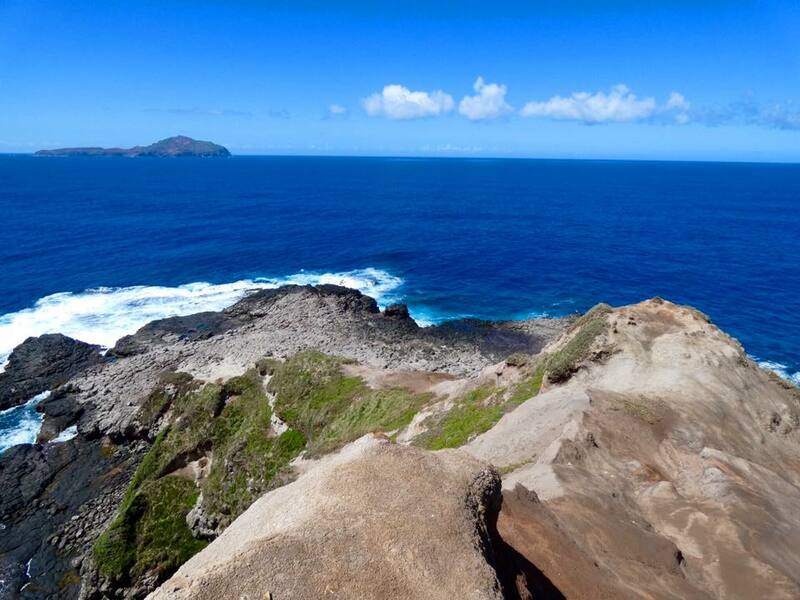 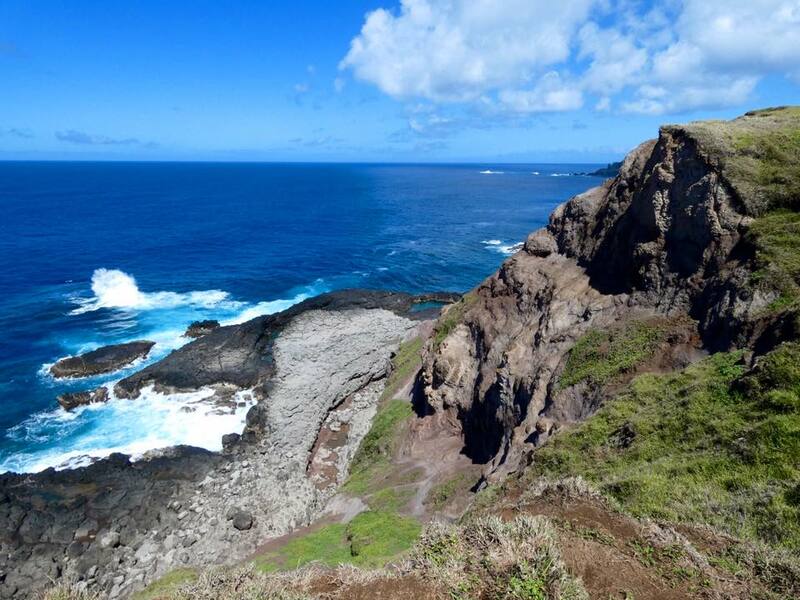 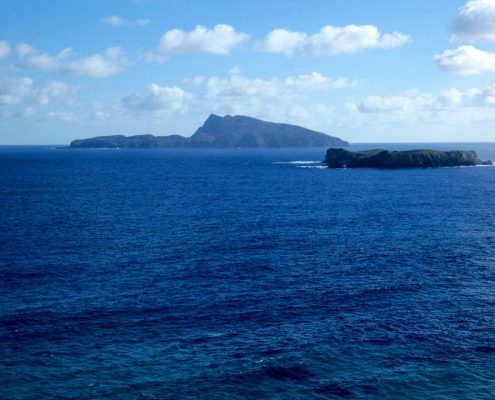 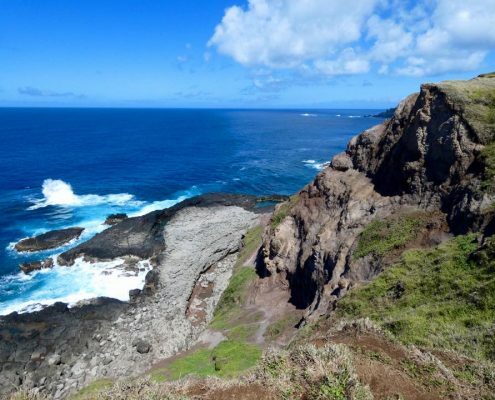 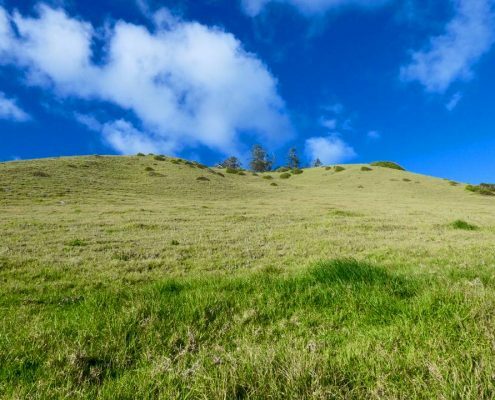 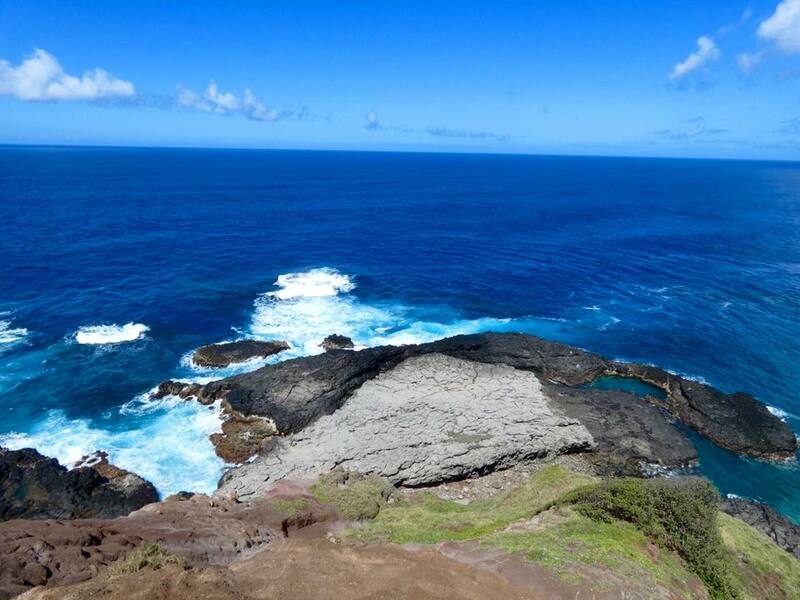 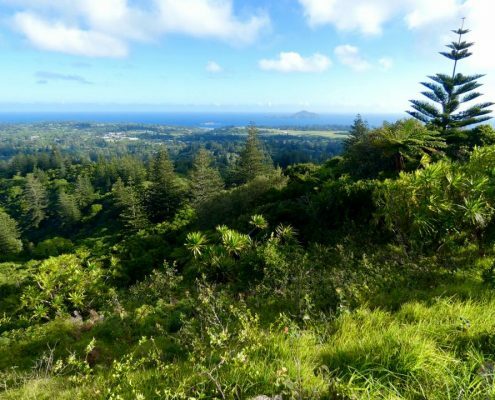 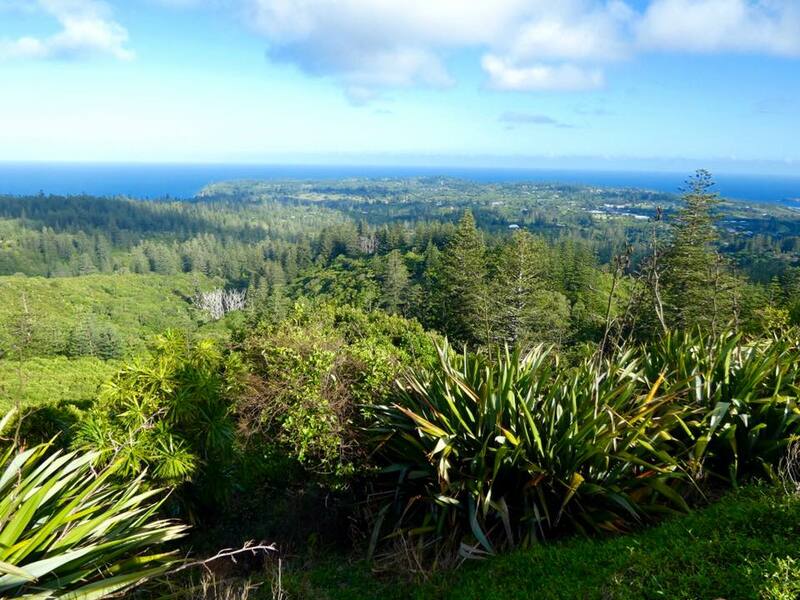 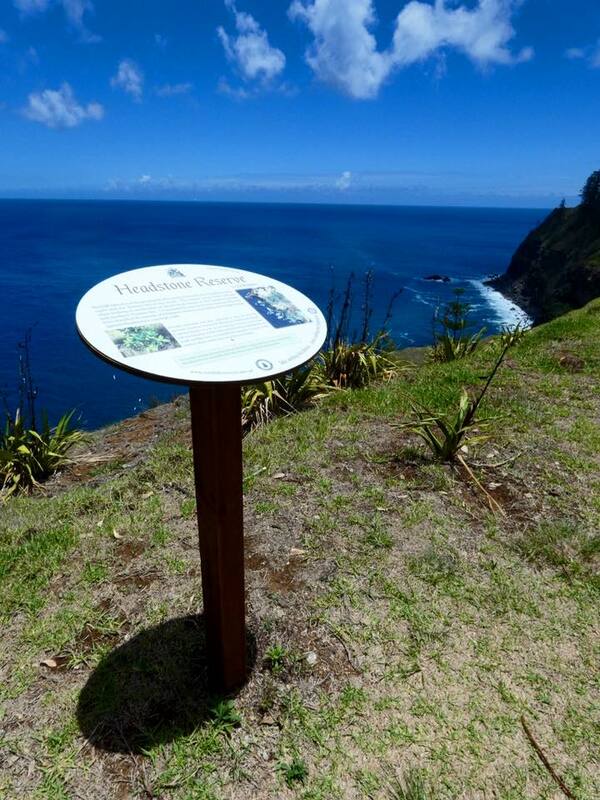 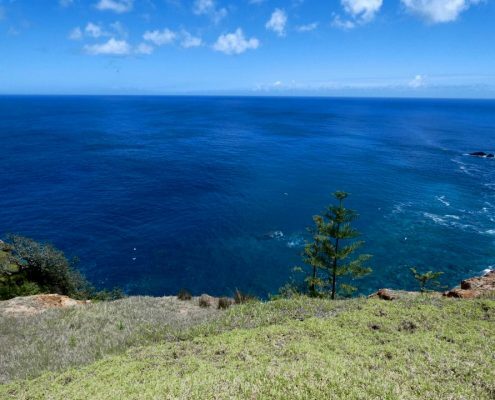 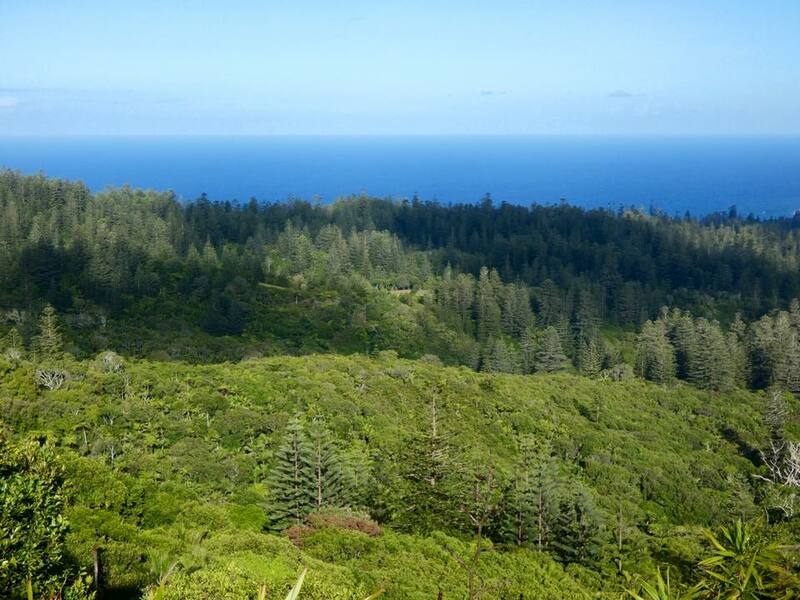 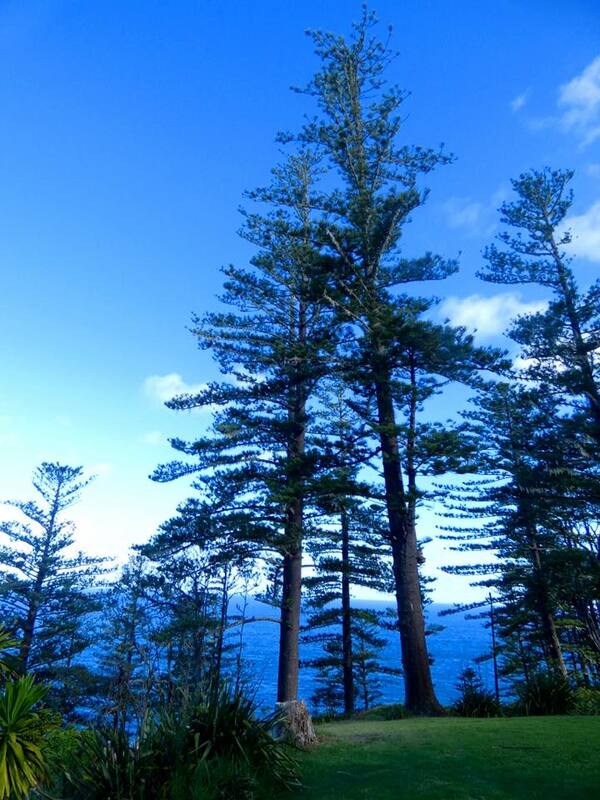 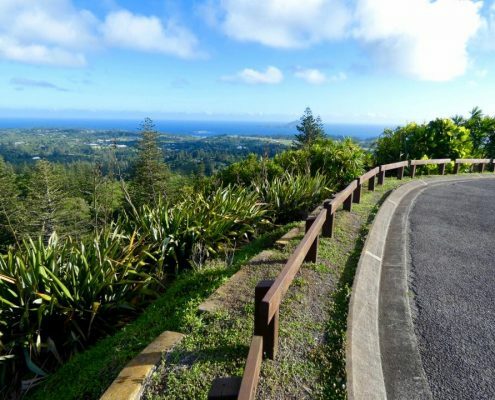 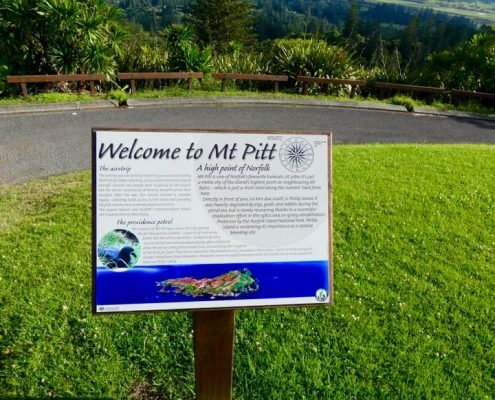 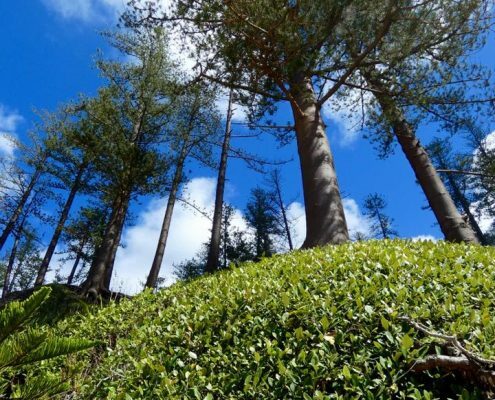 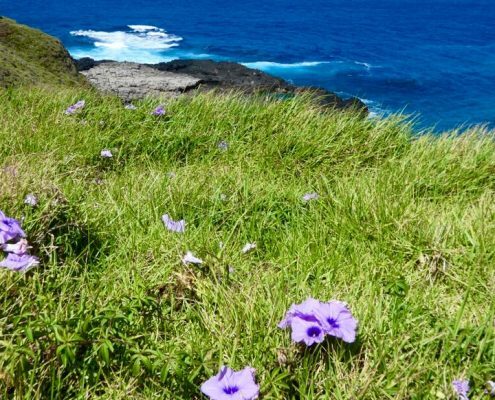 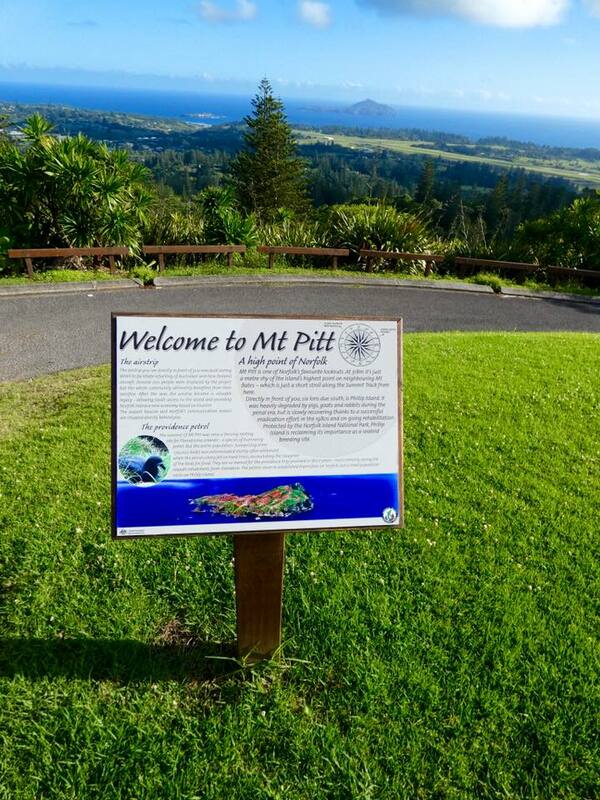 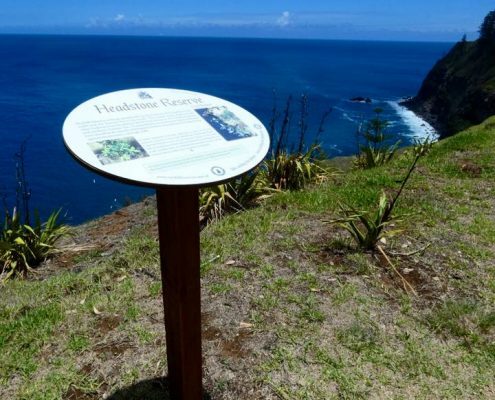 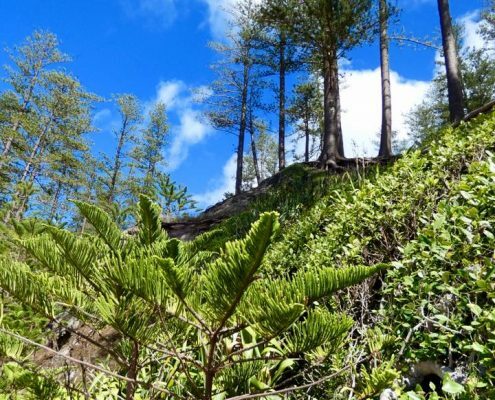 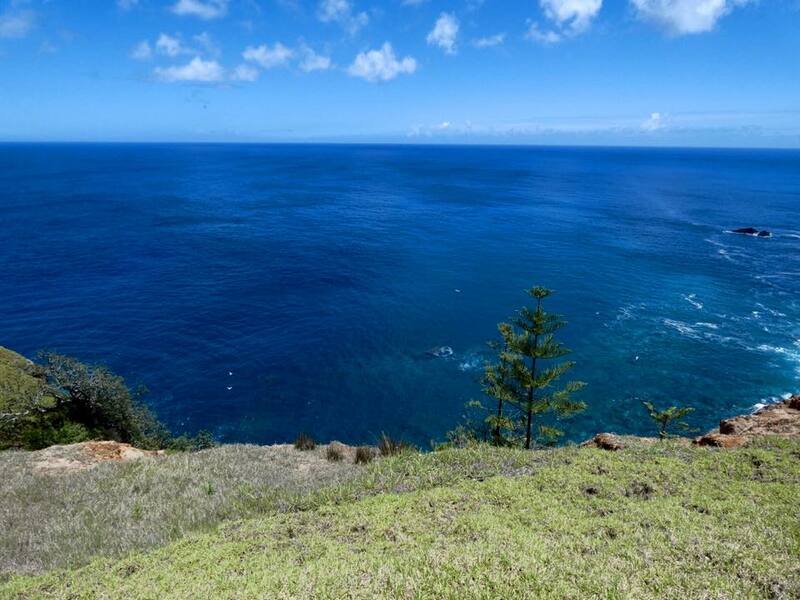 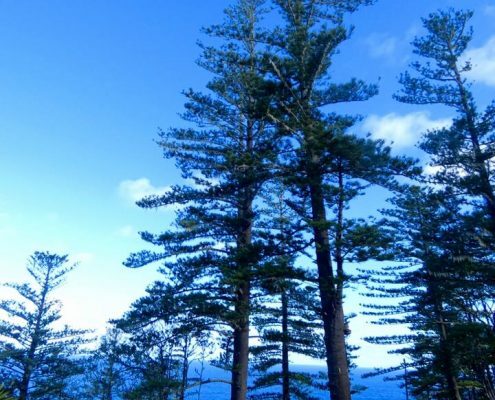 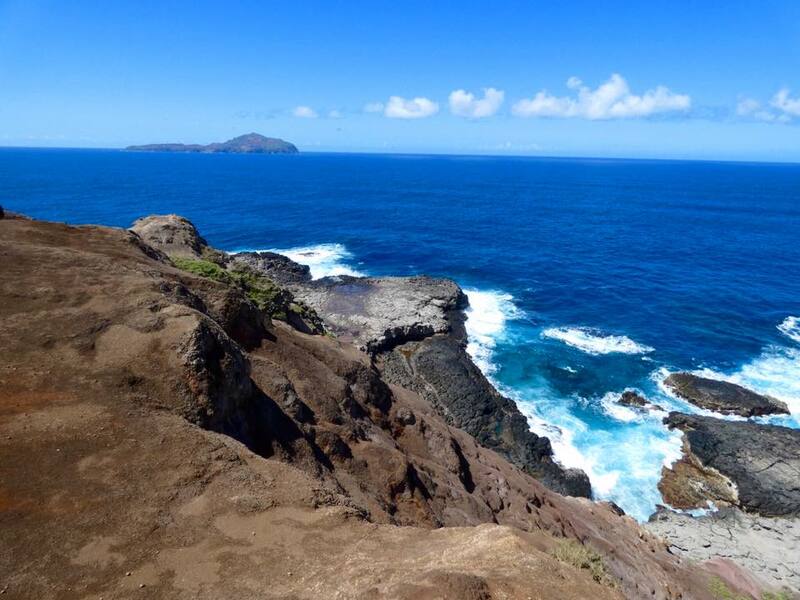 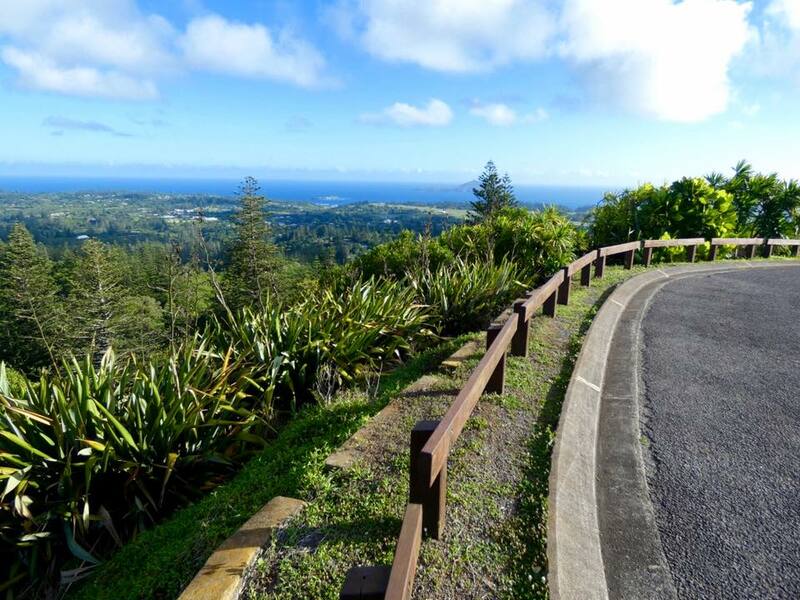 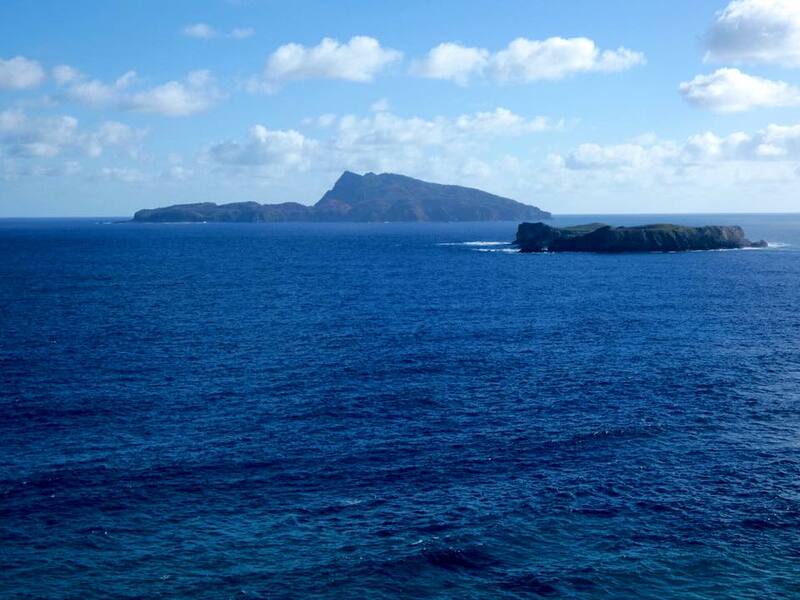 In the center of the island stands Mt Pitt, the highest point, and you can drive up to the very top and have an absolute 360 degree panorama of the entire island – you can see ocean in all directions. 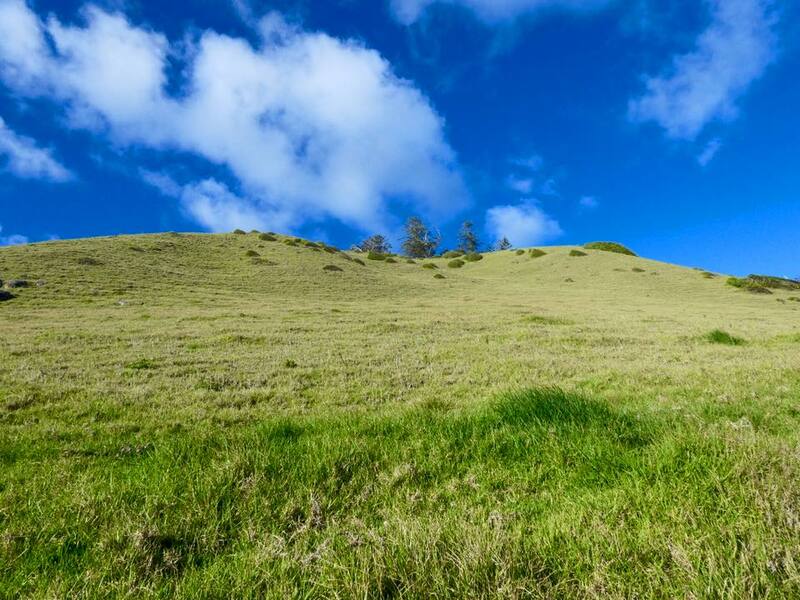 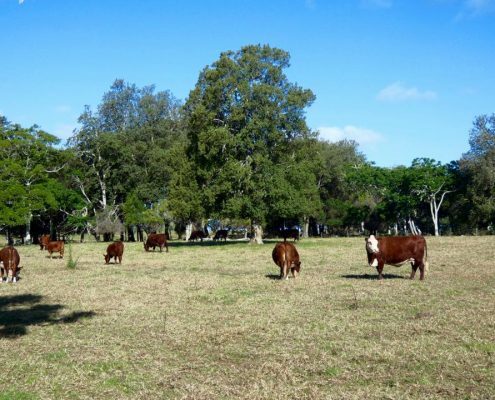 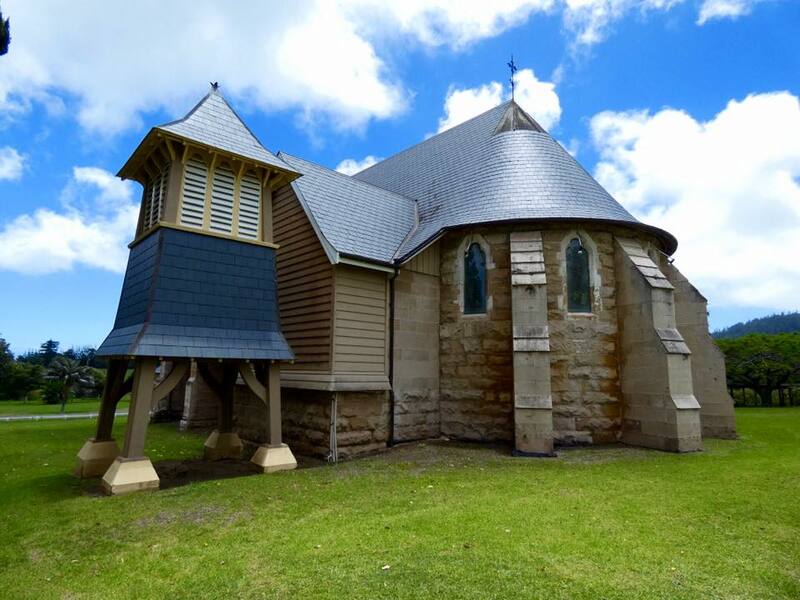 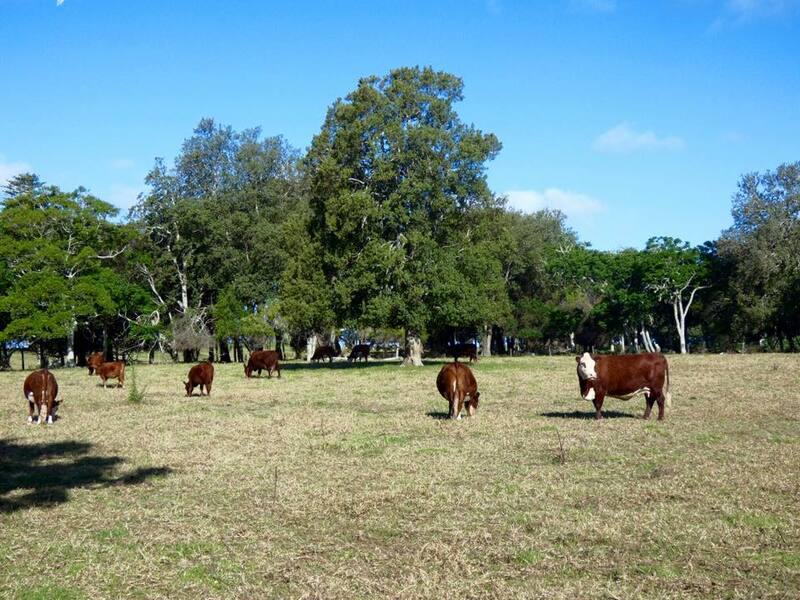 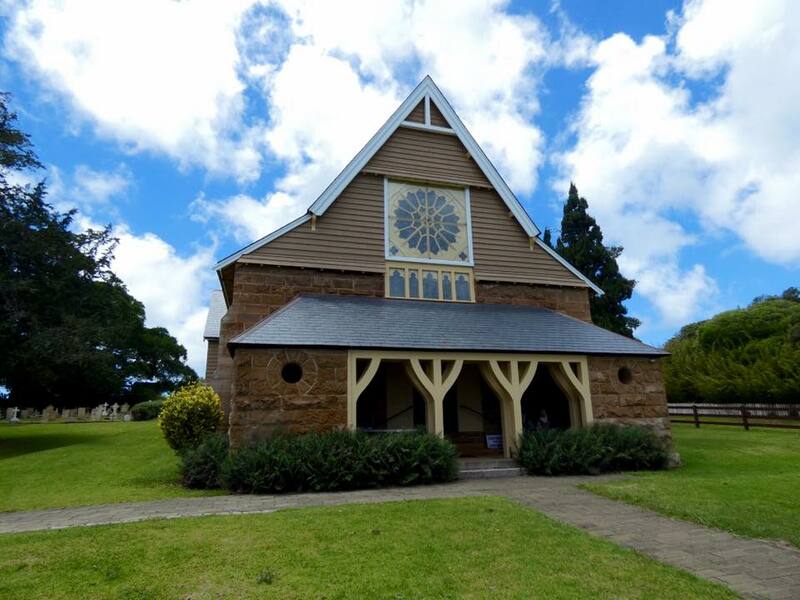 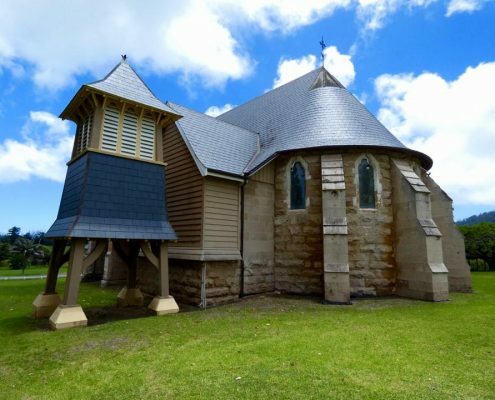 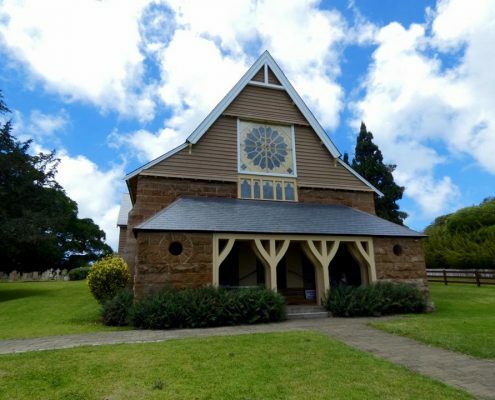 There are plenty of pastures with cows and green hills and also a beautiful church.